While Loren: The Amazon Princess, which I reviewed two weeks ago, if fairly well-known among western VN fans and did a lot to establish WinterWolves studio as a respected OELVN developer, the second RPG placed in the fantasy world of Aravorn, Seasons of the Wolf, flew very much below the radar of most gamers and VN fans. Published on Steam in January 2015, this game pushed the series in a slightly different direction, with a smaller cast, more casual story and far fewer romance options, to a very mixed reaction from the players. 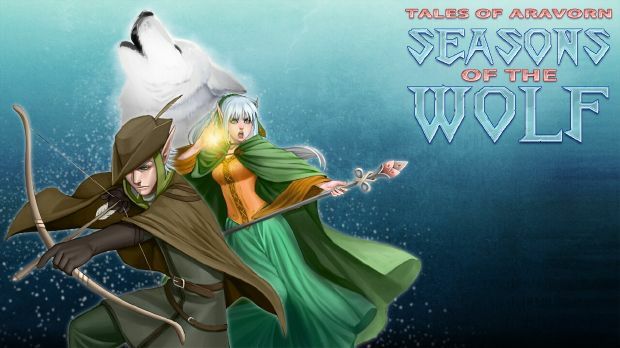 However, Seasons of the Wolf was also the title that made significant improvements to the core gameplay mechanics of the series and refined the whole experience in a way that created a standard for future WinterWolves RPGs to follow and build upon. How then this “less of a dating sim” (citing the developer himself) looks like three years after its initial release and is it worth attention from VN fans, especially those that are more interested in the story, rather than RPG gameplay?